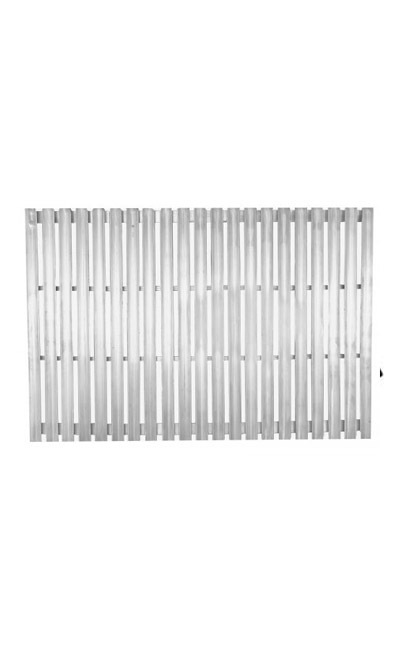 Our Santa Maria and Argentine 304 stainless steel grill grate is created by using a sloped v-grate anddrip pan. This feature along with our adjustable grilling system allows you to maintain a uniform temperature allowing the meat to cook evenly without any unwanted flareups. The main feature of the grill grate is its slope which allows the drippings to roll toward the front and into a removable drip pan. The grates made of stainless steel insure easier cleanup and longevity. Santa Maria, Argentine, Argentine w/rear Brasero Single Grate 30", 36", 48", 60" sizes for both cart and non-cart versions.